In the early morning of Sunday January 27th, Christopher W. McCallum of Bridgewater, MA sustained a life threatening head and brain injury while trying to break up a fight outside of the Nickerson Post in Quincy, MA. Chris was transported to Boston Medical Center where their trauma team worked tirelessly to try and save him but unfortunately, the injuries were too severe. Chris passed away Monday afternoon, January 28th surrounded by his family and his closest friends. Chris was the quintessential good guy, passionately willing to help anyone in need whenever possible. He was a fiercely devoted husband, father, son, brother, and friend. Also beloved by nieces and nephews, there was no audience that didn’t see the overwhelming good in Chris from first blush. At this time, we are reaching out to the community for prayers and strength for the collective family he leaves behind. As we mourn this sudden and tragic loss, we ask that you give the family space and not reach out to the immediate family as we mourn. Chris worked tirelessly to provide for his family and the void he leaves today and forever is immense. 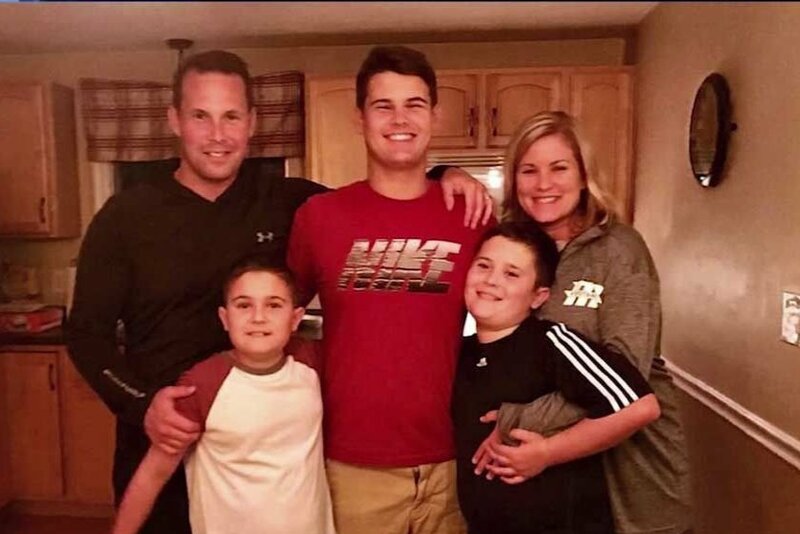 Recognizing the family's long term needs, prayer posts and well wishes are more than welcome on this go fund me page that we established to help Kathy and the boys grieve this tremendous loss. 30 days ago Chris was taken from our family and words written here or said aloud will never capture our loss. Similarly, I can’t begin to properly express how overwhelmed my family and I are at the enormous outpouring of generosity and love we have received from our family, friends, colleagues and complete strangers. We are just blown away by how far stretching reaching Chris’s impact to others was. As we continue to search for answers as to how and why this happened, we are greatly comforted by what all of you have done for us through your generosity. Ryan, Michael, Christopher and I want to thank you all from the bottom of our hearts. Kathy and the entire family are blown away by the outpouring of support from everyone. This is a incredible testimony to Chris and the whole family. You are all heroic in what you've done for Kathy, Ryan, Michael and Christopher and we want to collectively thank you for all that you're doing. This is truly what family and friend support looks like and it's an absolute reflection of who Chris was to all of us.